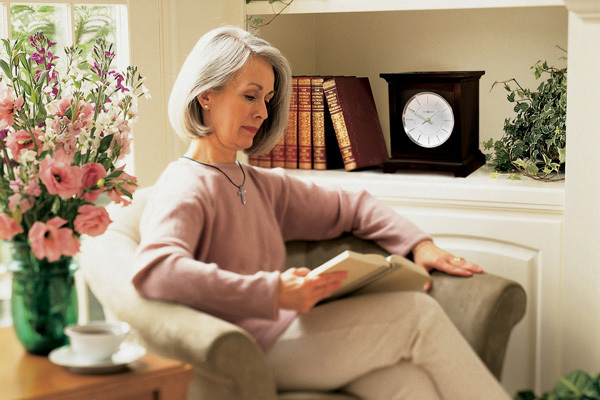 Several commonly-chosen cremation services are listed below. This selection includes a viewing and a funeral ceremony at our chapel followed by cremation. 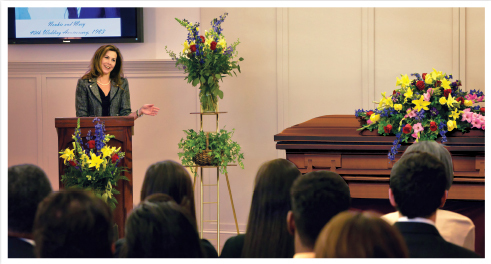 Our charge for this service includes: transfer of remains to funeral home; embalming; dressing; cosmetizing; basic services and overhead of funeral director and staff; use of facilities for public viewing and funeral ceremony; utility vehicle and cremation fee. This charge does not include the casket, rental casket, alternative container, urn, memorial package or cash advance items. 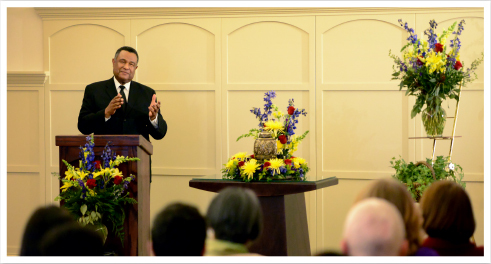 This selection includes cremation and the use of our chapel for a memorial service. 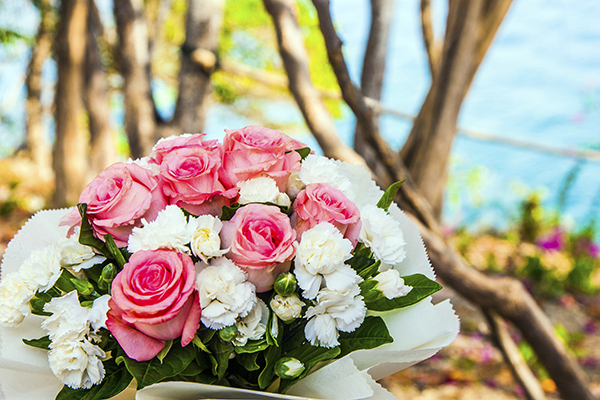 Our charge for this service includes: transfer of remains to funeral home; refrigeration; minimal services and overhead of funeral director and staff; use of facilities and staff for gathering and memorial ceremony or supervision of gathering and ceremony at other facility; utility vehicle; and cremation fee. This charge does not include the casket or alternative container, urn, memorial package, or cash advance items. 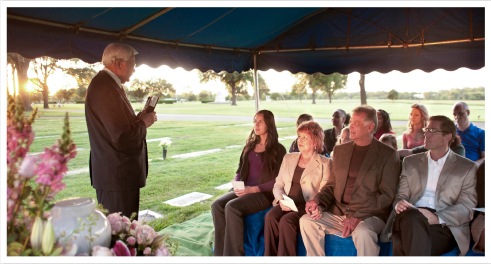 This selection includes a private family viewing in our facility and cremation. Our charge for this service includes: transfer of remains to funeral home, bathing, disinfecting and refrigeration of unembalmed remains, minimal services of funeral director and staff, use of facilities for private family viewing (limited to 30 minutes and 10 people), utility vehicle, and cremation of remains. This charge does not include the casket or alternative container, urn, public viewing, ceremony or cash advance items. Our charge for this service includes: transfer of remains to funeral home; refrigeration of unembalmed remains; minimal services of funeral director and staff; utility vehicle and cremation fee. This charge does not include preparation of body, our involvement in planning of ceremony, use of facilities for viewing or ceremony, casket or alternative container, urn, memorial package, or cash advance items. Our charge for this service includes: transfer of remains to funeral home; embalming; dressing; cosmetizing; basic services and overhead of funeral director and staff; use of facilities for viewing and funeral ceremony or supervision of ceremony at other facility; utility vehicle and hearse to local cemetery. This charge does not include limousine(s), casket, outer burial container, memorial package, or cash advance items. Our charge for this service includes: transfer of remains to funeral home; embalming; dressing; cosmetizing; basic services and overhead of funeral director and staff; use of facilities for viewing; supervision of graveside ceremony at cemetery on the same day; utility vehicle and hearse to local cemetery. 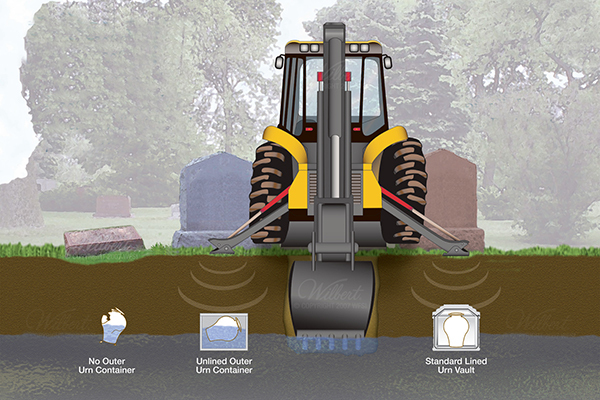 It does not include casket, outer burial container, and memorial package or cash advance items. 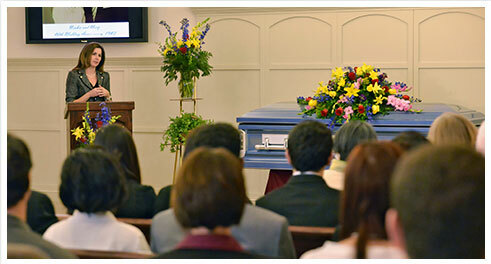 Memorial services after cremation are becoming quite common. Here are some ideas to get you started. 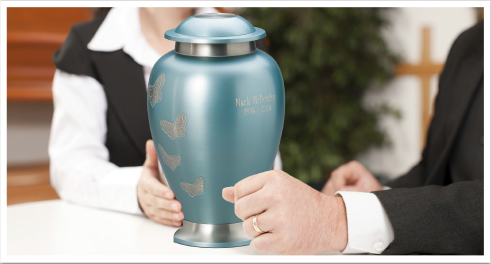 If you want to place the urn on display at your home, there are many beautiful options to choose from. 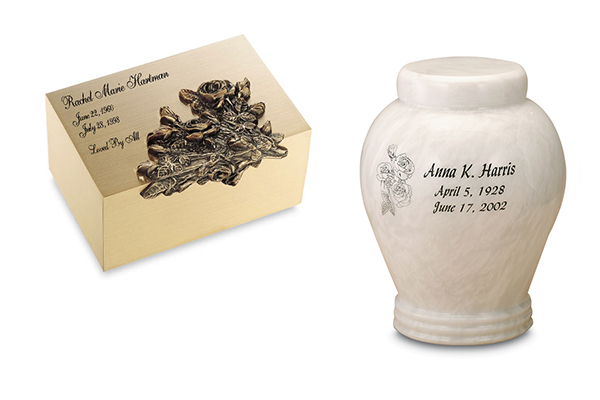 Many cremation urns can be personalized with special engraving or designs. 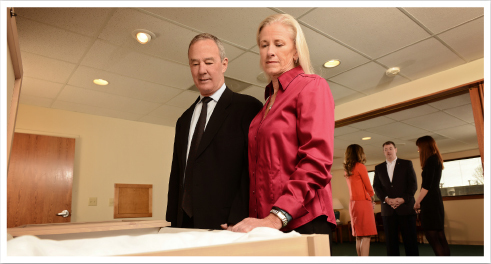 Many families ask us about the need for an urn vault, wondering why it is necessary.